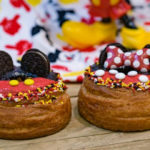 A new pop-up experience is coming to Downtown Disney this spring that will celebrate global icons, Mickey Mouse and Minnie Mouse. Pop-Up Disney! A Mickey Celebration will be a limited time whimsical experience that guest won’t want to miss. 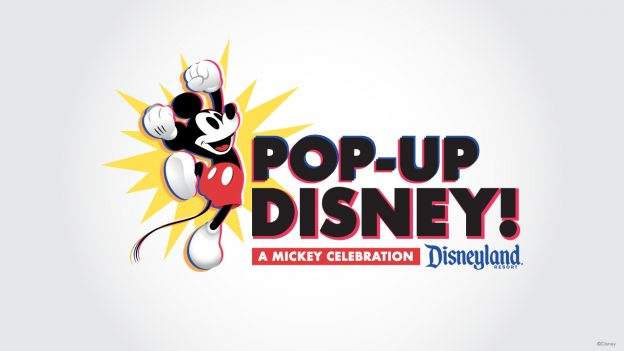 The Disney Parks Blog has announced an all-new, pop-up experience is coming to Downtown Disney. This spring guests will have the chance to discover Pop-Up Disney! A Mickey Celebration that will transport them through a visually and whimsically immersive experience. 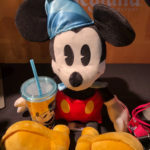 Pop-Up Disney! 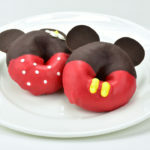 celebrates 90 years of the one and only Mickey Mouse, and his darling, Minnie Mouse. This limited-time exhibition will feature several different imaginatively themed rooms with vivid displays inspired by all things Mickey Mouse. Every room will feature selfie-worthy surprises and provide plenty of fun and fabulous photo ops for guests and their family and friends. One such surprise will be a super-sized and super sweet bow sofa. 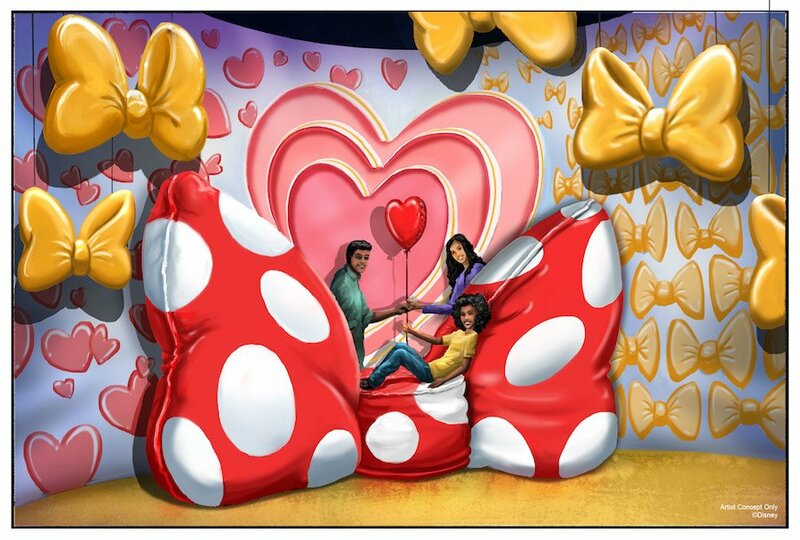 In this area, guests can pop into the portrait and take a seat on Minnie’s plush sofa or pose under Minnie’s giant bows and hearts. This separately ticketed exhibit will be located near the Downtown Disney District Monorail station in the former space of ESPN Zone. Several other exciting offerings have recently debuted at Downtown Disney. 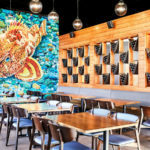 In mid January, Ballast Point Brewing Company opened its doors and has been serving up delicious food and brews that guests love. Those looking for a sweet treat will want to check out the unique offerings at Salt & Straw scoop shop which opened in the fall. Finally, Mike toured the newly redesigned Naples Ristorante e Bar, Napolini Pizzeria and sampled their tasty menu.